Provide individualized instruction to all Special Education Students based on service needs identified in students' Individualized Education Plan. Maintain compliance on all Special Education paperwork. Maintain compliance on all Special Education paperwork. Create and maintain a service schedule for all SPED Students. Create a service schedule for all SPED Students. Create and maintain a service schedule for all Special Ed Aides (if applicable). 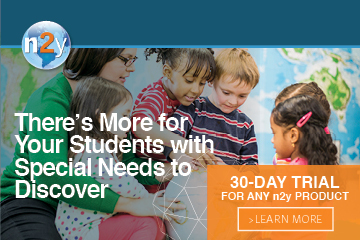 Manage caseload of up to 28 Special Education students. Communicate effectively with parents on student progress. 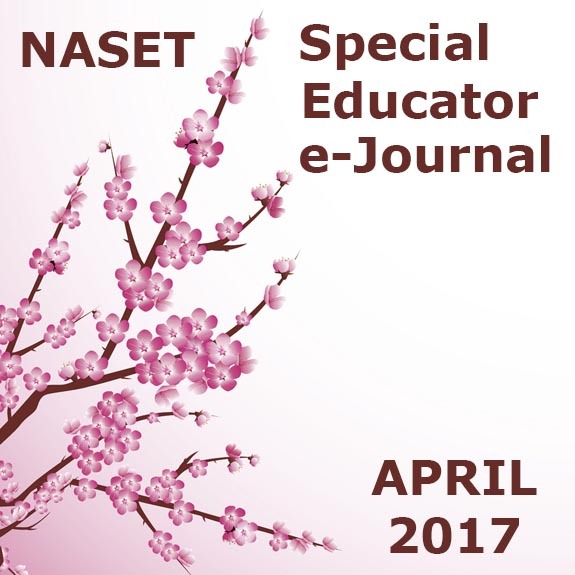 Write IEP's for all Special Education Students on caseload. Complete all evaluations (initial and re-eval) for all Students. Since 1949, our client has been serving children with multiple and complex disabilities that public and private schools aren't able to accommodate. By providing a safe and nurturing environment and expert staff, children are learning and growing everyday. We are currently sourcing for professional, compassionate and motivated Certified Teachers to join this growing education team. Ideal candidates will have certification from the State Education Department to teach children with special needs. 242 working days per year, enjoy holidays and school breaks off. Bachelor's degree (B. A. or B. S.) from a four-year college or university required. Six (6) months to one (1) year related experience and/or training; or equivalent combination of education and experience. Must be certified by the State Education Department to teach children with special needs. All positions are for Sept. 2017-2018 Academic year. We are a top job placement company in Turkey. We are fulfilling vacancies in Turkey, Saudi Arabia, Qatar, Bahrain, UAE, Vietnam, and Portugal. We require, Special Education teacher, Mathematics Teacher, English teacher, Physics Teacher, Design Teacher, IT teacher, Music Teacher, Principal, Curriculum coordinator, V. Principal, Student Counselor, French teacher, Early childhood teacher, Humanities teacher. Teachers must have a minimum of bachelor's degree in education. Teachers must have more than two years of teaching experience in the relevant subject. We do not collect any fees from teachers. Ability to obtain Mild/Moderate Certificate. Ability to teach Kindergarten, Primary, Middle. The NYC P-TECH schools are six-year high schools (spanning grades 9 through 14) where students have the opportunity to earn a high school diploma, an Associate degree—at no cost—and work experience in a growing industry field. Through a program designed in collaboration with industry and college partners, NYC P-TECH schools redefine traditional school experiences for students by seamlessly integrates rigorous academics, college coursework, and career exploration for personal growth. We're looking for candidates who are passionate about making college and careers a reality for all students! NYC P-TECH staff members are eager to be part of a cross-disciplinary professional learning community that includes their college and industry counterparts. Our schools support learners from all backgrounds and seek educators who can meet students where they are through effective teaching styles using technology, their colleagues, and their community. Our schools seek individuals who will be proactively involved in the development of the school's unique design and development, from its sequence of courses to the work-place learning component. Working for a P-TECH School is an experience that no other educational institution could possibly offer. We are looking for experienced, educated, innovative, and forward thinking teachers with a passion for youth development. Are You a Match? Find out by applying to our speed-interviewing event, where qualified candidates will be selected to interview with principals, faculty and staff based on their content area. 2) Submit your resume to nycptechschools@gmail.com by April 1st, 2017. Applications received without a resume submission will not be considered. $46,000/school year (180 days). Summers off with year round pay. Special Education Teachers needed in Arizona (Phoenix and surrounding cities). Needs are in the self-contained and resource settings serving students with emotional disabilities (ED), Autism (A), Severe/Profound (S/P), and Intellectual Disabilities (ID). STARS is the largest school contract agency in AZ. STARS is owned and operated by Occupational Therapists. You will be an employee and receive full benefits (see below). With a proven track record, STARS is able to offer you an unbeatable support system and resources. STARS is hiring for the 2017-2018 school year. STARS places Special Education Teachers throughout the Phoenix, Tucson and the surrounding area public schools. Certification through the AZDOE, in Special Education. Arizona Fingerprint Card through AZDPS. We will help you get the credentials needed and reimburse you for the cost. Salary: $46,000/school year, based on 180 days. STARS also offers a fantastic benefit package including: 16 weeks off, 100% Company paid Health, Dental, Vision, and Life Insurance, $1,000/year Continuing Ed Money, Paid DOE Certification Fees, Paid NASET Dues, Spanish Immersion trip, Hawaii Trip for two, 401K, 125 Plan, Direct Deposit, Evaluation tools and treatment supplies, Two company sponsored parties with professional entertainment, Company newsletter, STARS sponsored dinner meetings with national/local speakers, Yearly raises, Referral bonuses, Moving $, Birthday gifts and other appreciation throughout the year, Genuine Appreciation. YOU WILL FEEL LIKE A STAR!!! Job Category: Special Ed. EBD, CI, VI, ECE, El, Sec. Provide special education services in small community/ies in northwest Alaska. Work with team, complete required paperwork, follow IEPs, assist with assessments. Masters in Special Education preferred. EBD/Autism or VI endorsement preferred.